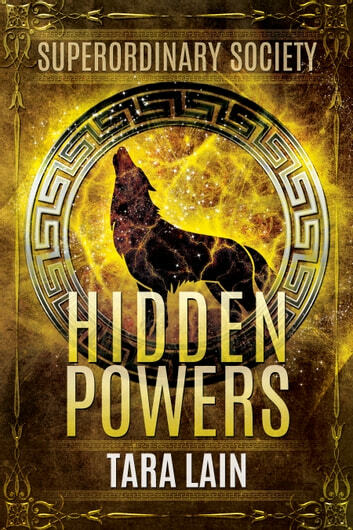 Hidden Powers wasn’t exactly was I was expecting since I didn’t realize it was YA/NA, but TLain exceeded any other expectations I had by taking on another facet of PNR – younger characters. The result was exciting, entertaining, and suspenseful! TLain excels at creating a secondary cast that gives the MC’s and the story texture and dimension. Hidden Powers proved that once again. Not only did we meet and get acquainted with the Superordinary Society – the compassion, support, dynamics between them all – but we also got to meet (or once again spend time with) the incredible family Jazz was adopted into. They’re unique for sure, but he couldn’t have asked for a better family. I really admire all the members of the Superordinary Society. They’re all misfits in some way. And yet they fit together perfectly. Carla with her tenacity and strong will, Dij with her loyalty and secrets, BeBop with his snazzy way of dressing and speaking, and super intelligence and humor, Dash with his good will, good deeds, and secrets, and finally, Jazz in all his lanky, knobby, “weird” glory. Oh he had hidden powers and secrets galore. He’s a gay werewolf, for goodness sake! I think in some way, each of them felt “alone”, a common trait among teens. I admired how Dash put things in perspective when they were choosing a name for their group: “Yes, it means exactly what the name implies. Outside or beyond ordinary.” He held up a finger. “That’s even better than beyond the natural, don’t you think?” And I appreciated how TLain brought these five together so they could use their strengths for a common goal. The supernatural and suspense elements were well done. It was interesting how the supes came together and why. I enjoyed how TLain conveyed the powers of these supes, how they were revealed, and the number of different supernatural elements there were in this world. I also liked how TLain built suspense around the main plot in Hidden Powers, used a fair amount of action to do it, and answered some questions in this first book. But she also built more suspense via an overarching plot. I mean, I know I’m going to read the next installment because I *need* answers to my questions. TLain seems to be adept at weaving in messages of sorts in her stories. Whether or not that’s intentional, I don’t know. But I always find hidden meaning. In Hidden Powers, she touched on teen emotions of loneliness. She also touched on prejudices against sexual orientation. And she hinted at feelings and emotions surrounding adoption – that feeling of “not belonging”. I admired that she also incorporated “finding oneself” as well. 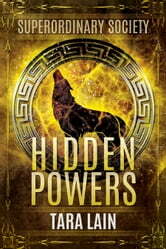 Overall, I felt Hidden Powers had a strong and well developed cast of characters and storyline. I’m eager for more from Jazz and his gang of misfits.